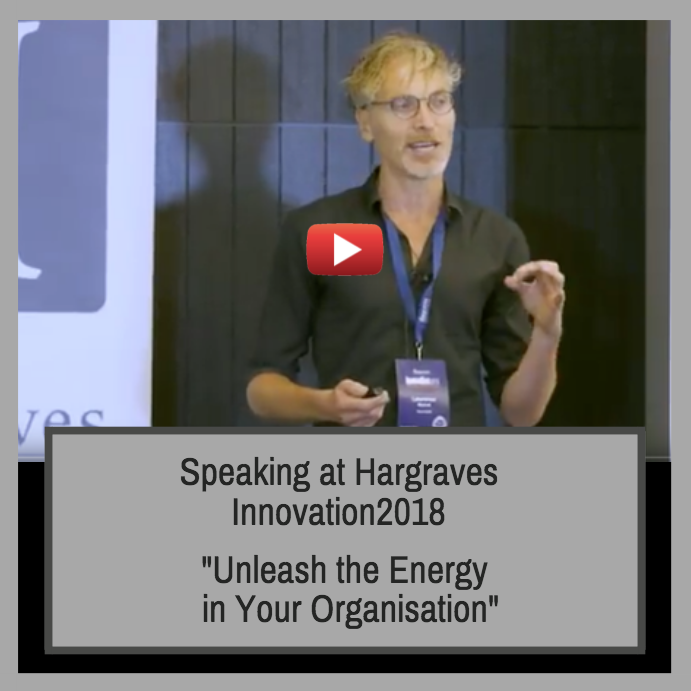 Lawrence speaking at Hargraves Innovation 2018 in Sydney Australia. Positive energy exists in every organisation. The challenge of the leader is to unblock that energy and channel it into creating and innovation that adds value to customers and leads to results. Drawing on Lawrence’s experience of creating an award-winning wellbeing being program at RBI, Lawrence shared insights on the lessons learnt on being an intrapreneur and building and scaling a program that made a massive difference to the employees and business performance.